"I long to go through the crowded streets of your mighty London..."
"...to be in the midst of the whirl and rush of humanity..."
"...and all that makes it what it is." - Bram Stoker, Dracula, 1897, chapter 2. From dialog spoken by Count Dracula to Jonathan Harker, his real estate agent and soon-to-be victim. Pedestrians and busses flow down Regent Street. 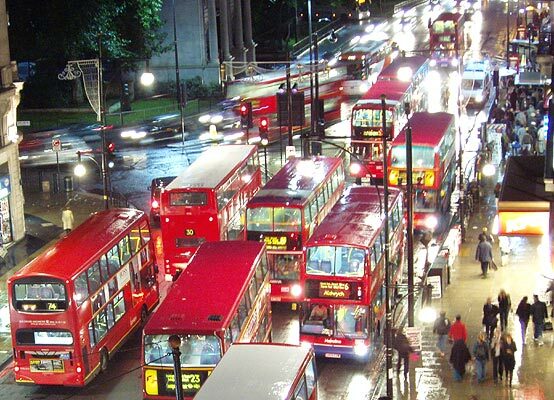 The ubiquitous red double-decker busses "whirl and rush" down Oxford Street near Marble Arch. 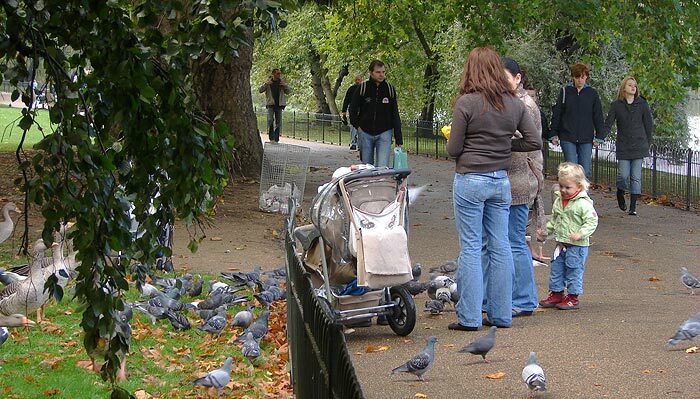 Families have a day out in Hyde Park. 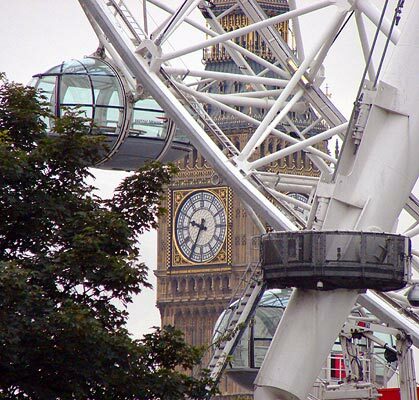 The iconic Big Ben looms behind The London Eye, a 2000 addition to the landscape. This is London's Victorian Highgate Cemetery, east side. 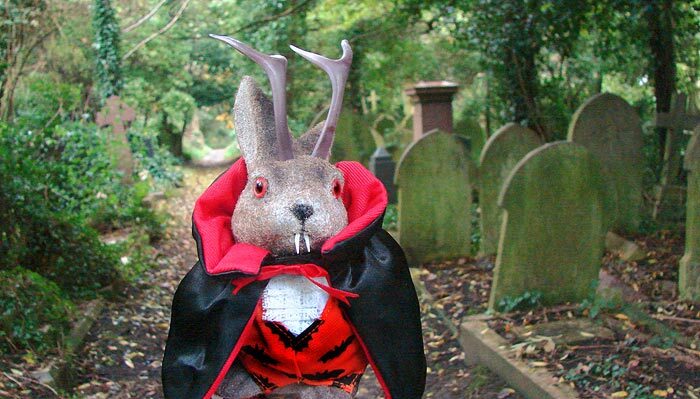 Bram Stoker noted that vampires could, in fact, move about in daylight although their powers would be diminished. The Union Jack flies from the spires of the Houses of Parliament, as seen from the London Eye. 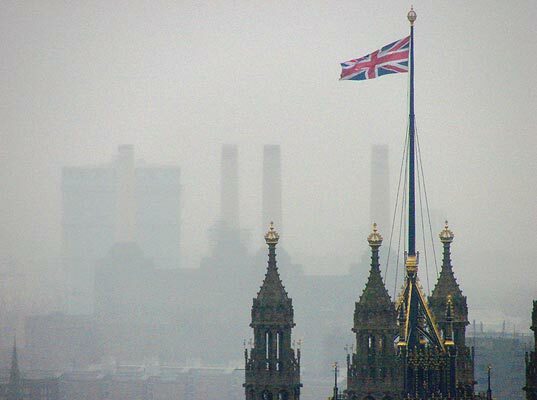 Smokestacks of the Battersea power station are visible through the rain behind. Fans of Pink Floyd will remember the Battersea station from the cover of the album, Animals. 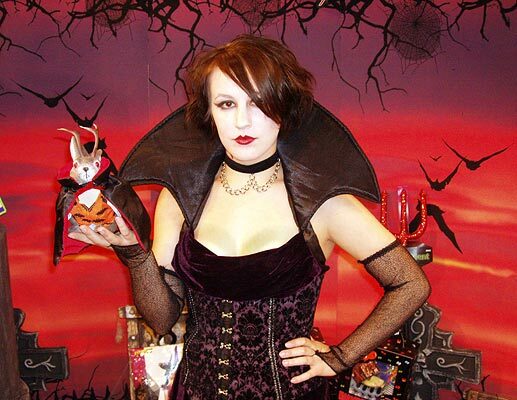 A vampiric jackalope keeps company with "Esmerelda", who haunts Hamley's Toy Store on Regent Street in London. Halloween does not seem to be a major holiday in the UK. It is, however, noted by just the sector you'd expect: retailers. Here's a fine window display for a store...I didn't note which one. I only noticed later the Halloween theme; I don't know how I could have missed that before. A closer look, shall we? There was a bit of Halloween Garland in the window display at Forbidden Planet, a big comics, toy and sci-fi store. 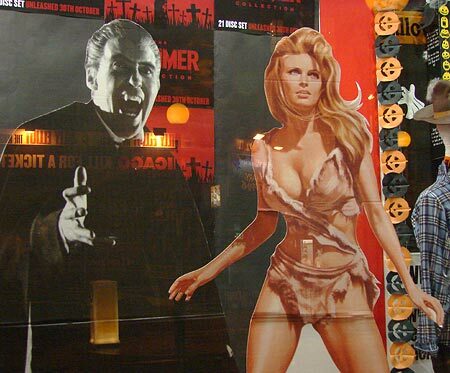 Also seen are standees of Raquel Welch from "One Million Years BC", I believe, and British icon Chistopher Lee, from one of his Dracula films. Lee is on my top ten list of people I'd like to meet and put on this blog. By the way, a scene from one of his films, "Taste the Blood of Dracula", was filmed in the above-mentioned Highgate Cemetery. 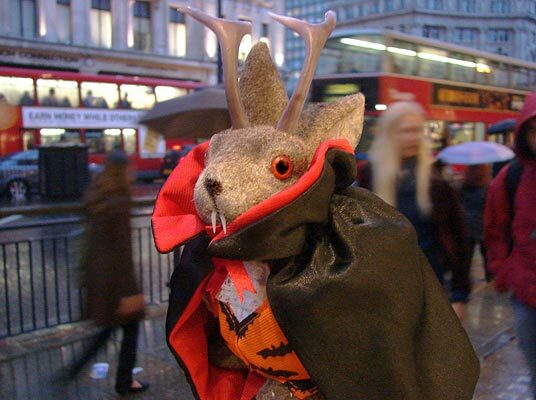 Ace Jackalope wishes you a Happy Halloween!